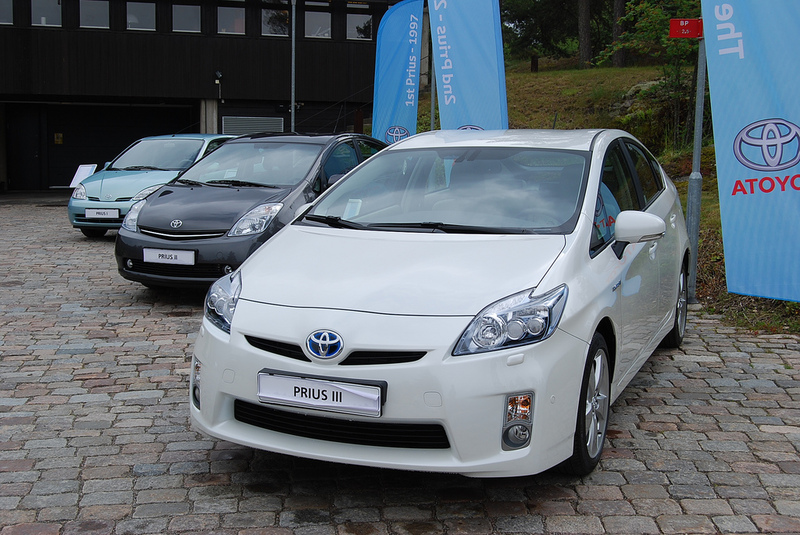 Home > Cars > Prius > Number of Prius sales in Europe so far – what would your guess be? Number of Prius sales in Europe so far – what would your guess be? Image courtesy of Adrian Higgins via Flickr. All rights reserved. Ten years after its arrival in Europe, Toyota has sold its 200,000th Prius on the continent. This comes just two years after European sales reached 100,000. Globally, nearly two million of the iconic full hybrids have rolled off the line at the Tsutsumi plant since 1997. So how does the latest generation of the world’s best-selling hybrid car compare to its 1997 counterpart? The award-winning 1.8 litre VVT-i Atkinson cycle engine, aerodynamic design and ground-breaking advances in Hybrid Synergy Drive technology have combined to boost power by 30 per cent, improve fuel consumption by more than 23 per cent and drive down CO2 emissions by almost 26 per cent. Toyota’s environmental leadership and continuous improvement (kaizen) philosophy have never been more evident. We’d like to thank all our UK customers – who account for 1 in 5 European Prius owners – for choosing Prius and helping to make it the definitive hybrid car. With the recent launch of Auris Hybrid and the current Prius PHV lease programme, we’re looking forward to another decade of hybrid leadership in Europe.